Milton Village Green has been the focus of village life. 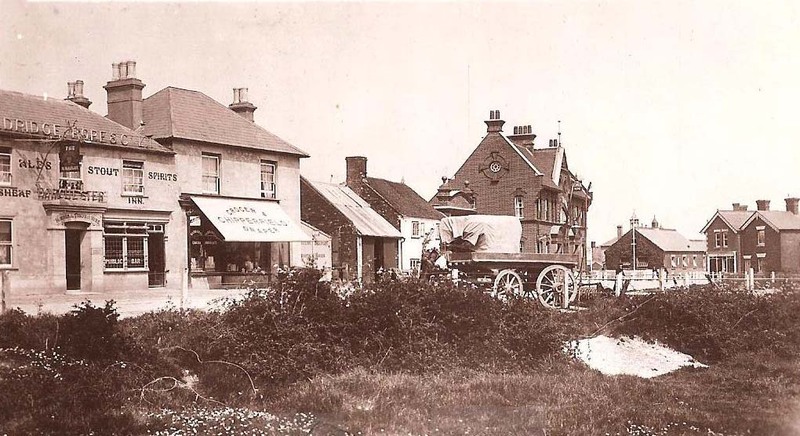 This 1920’s image shows to the north of the village green, from left to right, the Post Office, the Wheatsheaf inn, Grocers, the black smiths forge and his house and The George Pub. On the triangle of land in the centre of the road is the National School. Leading away north up the picture is Old Milton Road. This photo shows Hospital Sunday parade circa 1910. 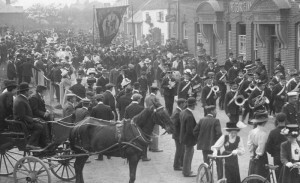 These events were social fundraisers. 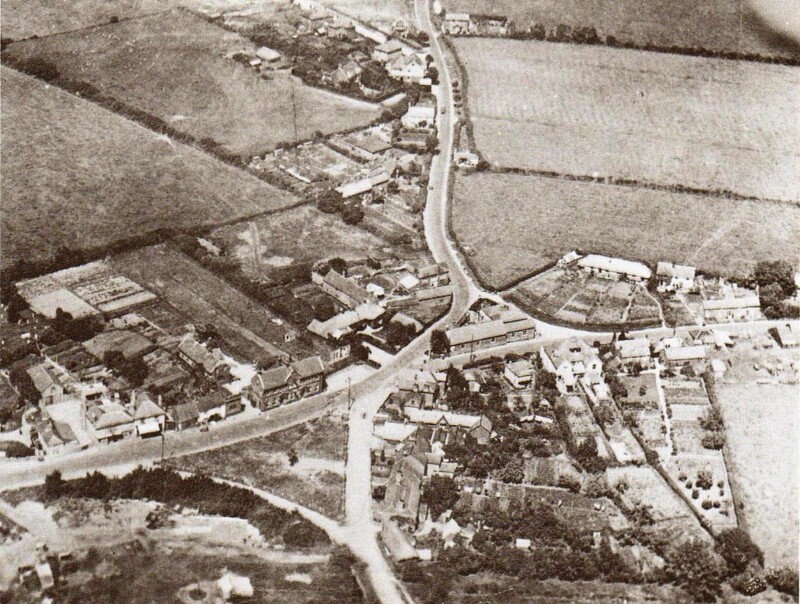 The Post office is show to the left in this image, then the Wheatsheaf public house and Chipperfields grocers. 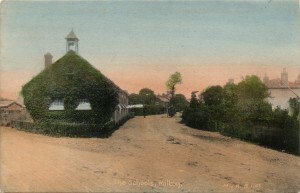 house and on the right Witts saddlers. 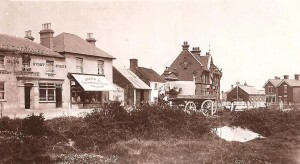 between Witts corner store and the George pub. 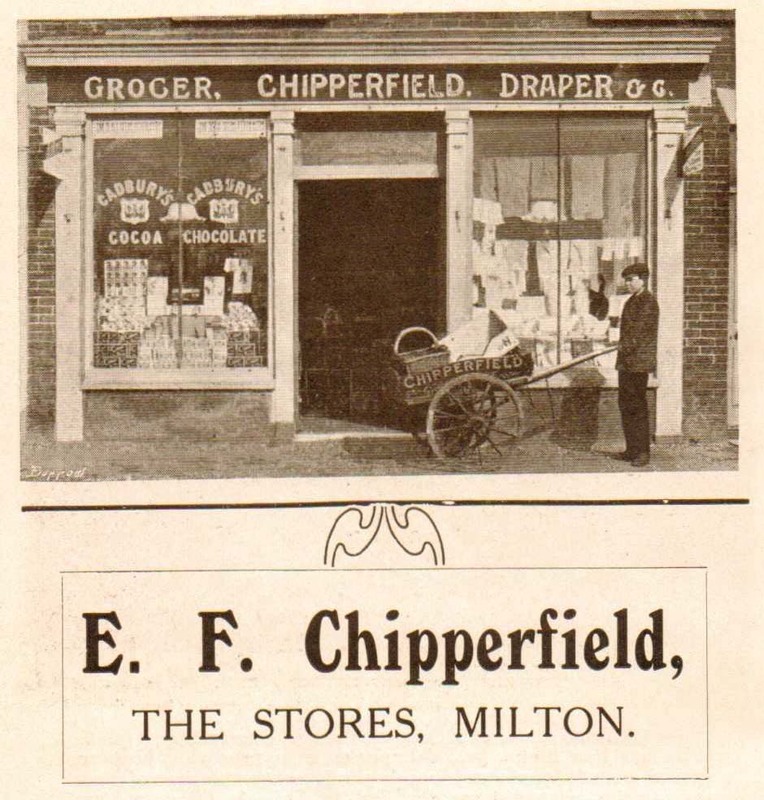 council until it was demolished in 1931. 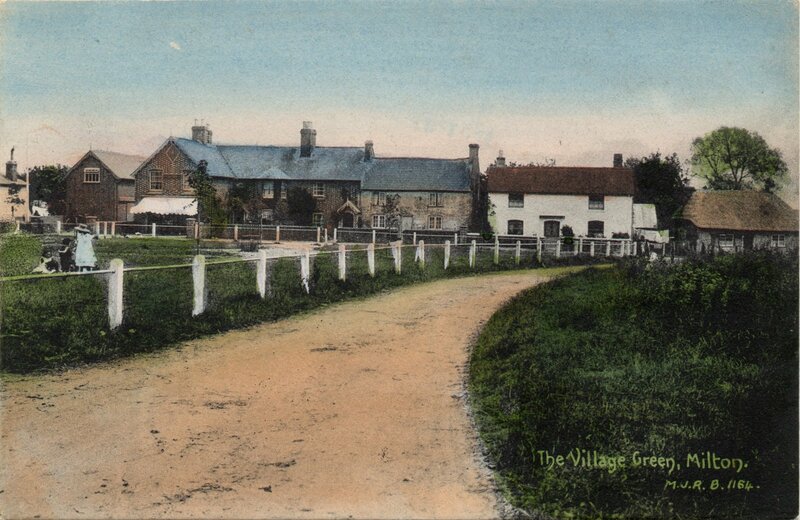 This is the eastern side of the village green. Showing Peckhams grocers and bakery.